A few weeks ago I went for a quick dash during a very rare lunch break to Soho to check if 'Kleins' had any metal purse frames. They did but not the ones I was looking for. A bit disappointed I left, intending to walk straight back to the tube station. But. But at the corner of Noel and Berwick Street is the Cloth Shop and I thought "Oh come on a quick visit won't harm....... I surfaced 30 min later (which isn't bad considering) with the most gorgeous linen fabric imaginable. Quite frankly if I had the means I could have spend a fortune there. I wanted everything they had. 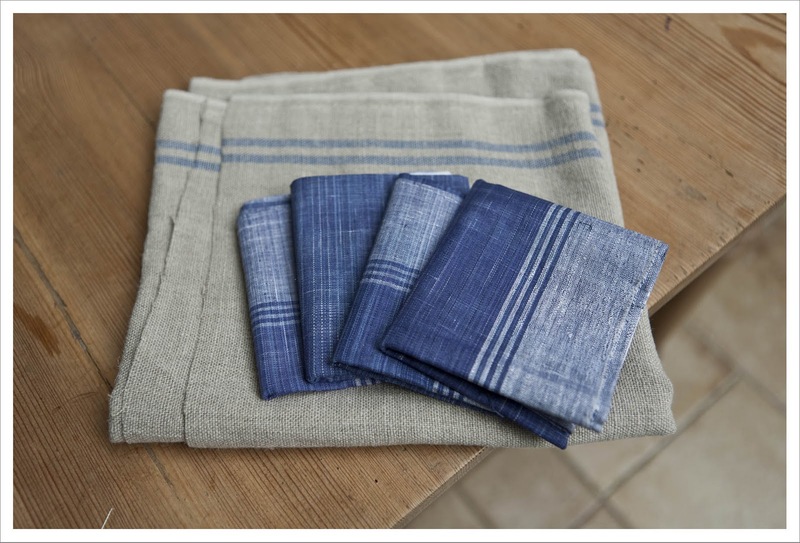 But sensible (or almost sensible) as I try to be I bought just a few pieces of linen. 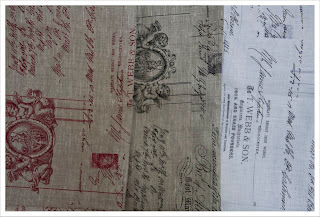 The first three images are linen with a wonderful old fashioned print on it. This is canvas weight and I am planning to make some cushions with it. It feels so luxurious. 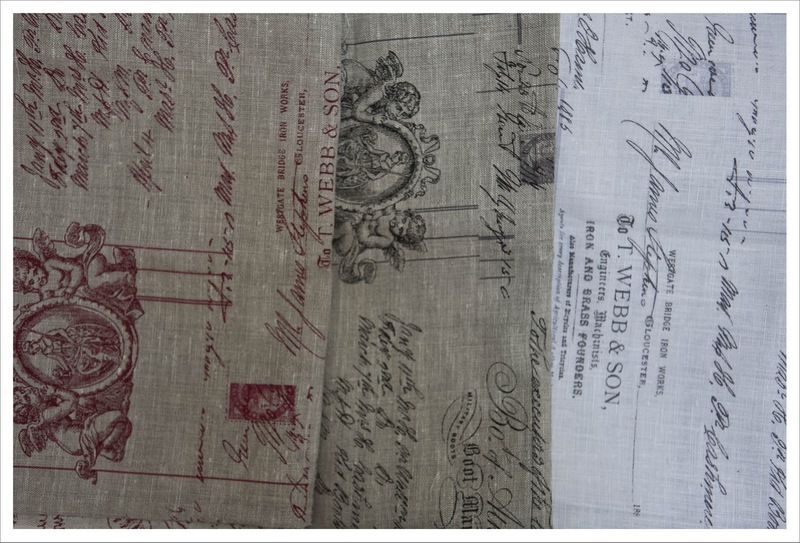 And this here is the softest linen ever. 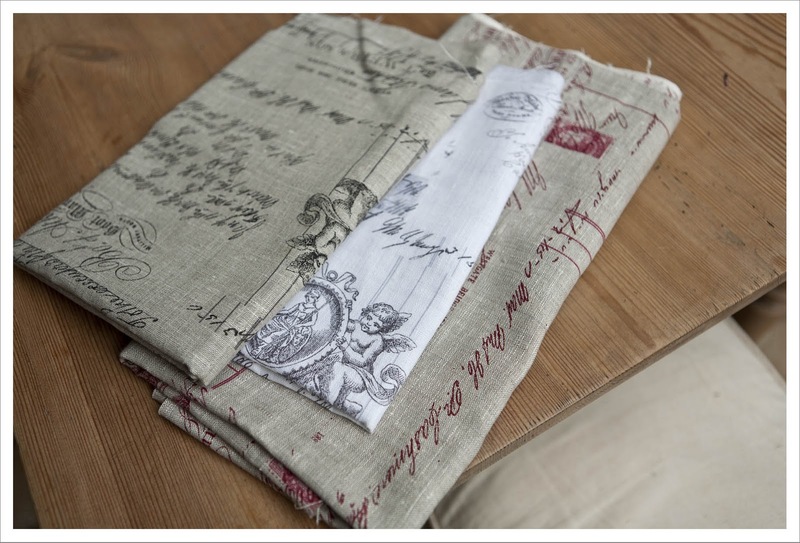 It comes in a 45 cm width and is ideal for tea towels for example. But I am going to use it as a table runner on my new/old kitchen table I recently bought. It's fantastic really as it has a great looking selvedge on the long edges so I only need to make a neat seam on the short ends. In addition I bought these wonderful cotton squares that can be used as napkins. Anybody fancy to come around for dinner ? 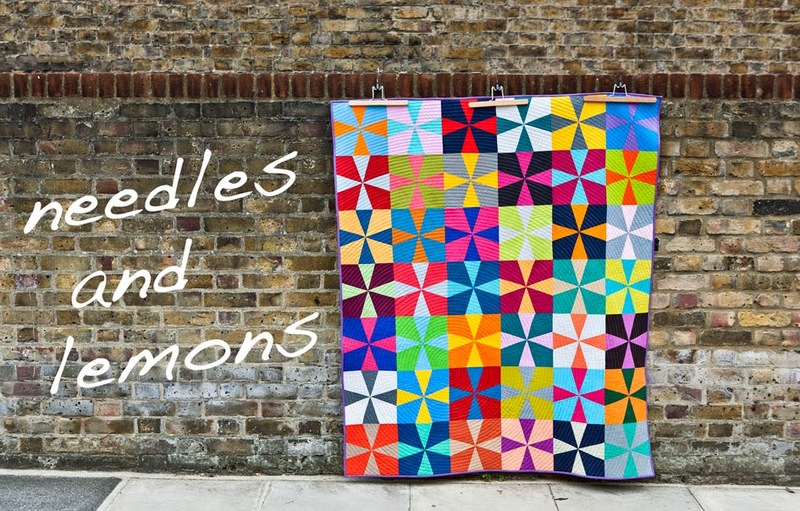 Never knew that there were fabric shops anywhere in Soho!? 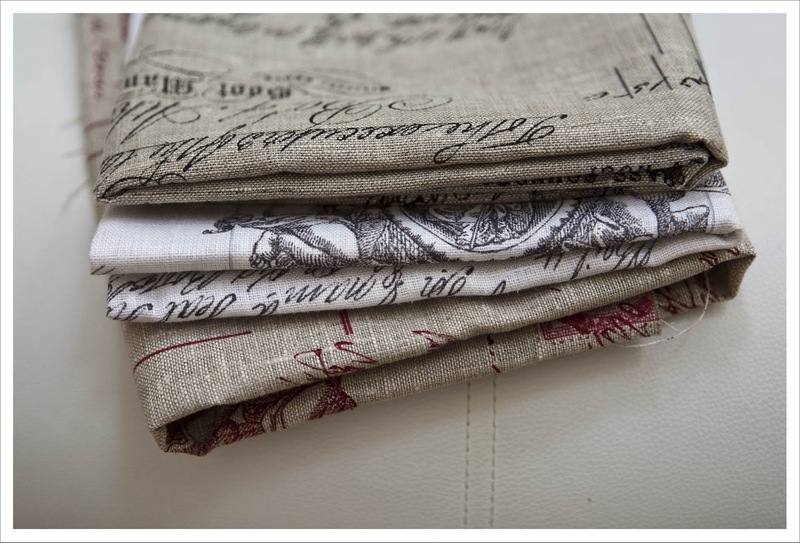 Great linen I really like working with the stuff for the texture and feel of it and hand stitching it is heaven! That Linen print is gorgeous! Wish I could just make a quick dash to somewhere like that!! Wow! What incredible finds... I was so bummed, though, when I discovered that you meant Soho in England. I thought you meant the Soho section of New York. Glad you found the fabrics, though! Look yummy.